Failed Back Surgery Syndrome or FBSS is the condition in which the patient starts suffering severe pain his back after undergoing a back surgery. It is often the result of a failed surgical procedure which was intended to relieve the back pain suffered by the patient, but instead ends up aggravating it. Failed Back Surgery Syndrome is a very common problem due to the relatively low success rate of back surgeries. According to Spine Health, back surgeries only have a 95% success rate even if they are being performed by the best surgeons in the world. Failed Back Surgery Syndrome might also affect people who have had a successful back surgery as well. This can happen if the surgery was done for a wrong reason. In some patients the pain caused by FBSS arises years after the surgical procedure was performed. In addition to the above-mentioned factors, the risk of getting FBSS increases if the patient is suffering from depression, anxiety, has having trouble sleeping, is diabetic or has an autoimmune disease. Notice the broken hardware from the failed fusion. 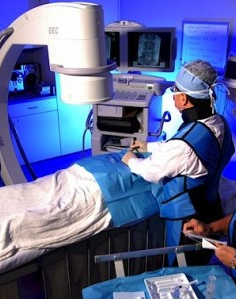 What Treatment Plans Help with Failed Back Surgery Syndrome? 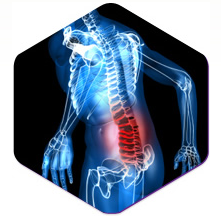 In the initial phase, the best treatment method for Failed Back Surgery Syndrome is anti-inflammatory pain medication. These can help in alleviating the pain. However, if the pain is relentless and cannot be controlled with NSAIDs then minor nerve blocks can be used for reducing the pain. Center for the Study and Treatment of Pain suggests that the use of Transcutaneous Electrical Nerve Stimulation (TENS) is also among the treatment options that can help in minimizing the pain suffered by a patient suffering from FBSS. TENS is a device that can reduce back pain by stopping the pain signals from reaching the brain. 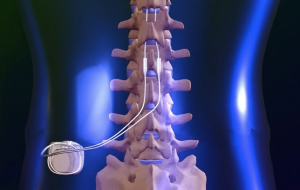 Spinal Cord Stimulator Implants – last resort, helps for both back or leg pain. How is Failed Back Surgery Syndrome Best Treated? The best treatment option that is available for patients suffering from Failed Back Surgery Syndrome is physical therapy. It is going to improve the strength of the adjoining muscles which would relieve the pressure on the lower back. Spinal manipulation is also among the treatment methods that can help in reducing the pain suffered by the patients. What is the Prognosis of Failed Back Surgery Syndrome? Failed Back Surgery Syndrome is a common problem that is faced by patients who have recently had a spinal surgery. It can be caused due to a number of reasons and there are many treatment options available that can be used for alleviating the pain associated with this condition. “Failed Back Surgery Syndrome (FBSS): What It Is and How to Avoid Pain after Surgery.” Spine-health. N.p., n.d. Web. 25 Sept. 2014. 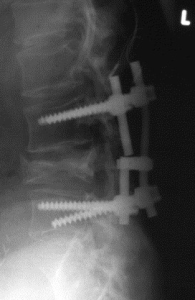 “Failed Back Surgery Syndrome | Center for the Study and Treatment of Pain at NYULMC.” Failed Back Surgery Syndrome | Center for the Study and Treatment of Pain at NYULMC. N.p., n.d. Web. 25 Sept. 2014.